Follow @mysqa_sam for useful study hints and tips. 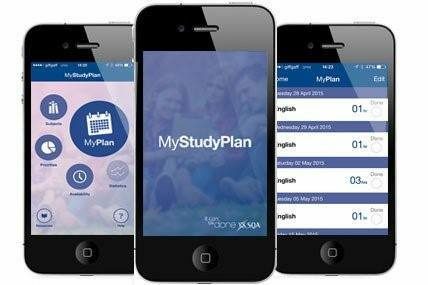 My SQA have an app which is very useful when planning your study timetable. 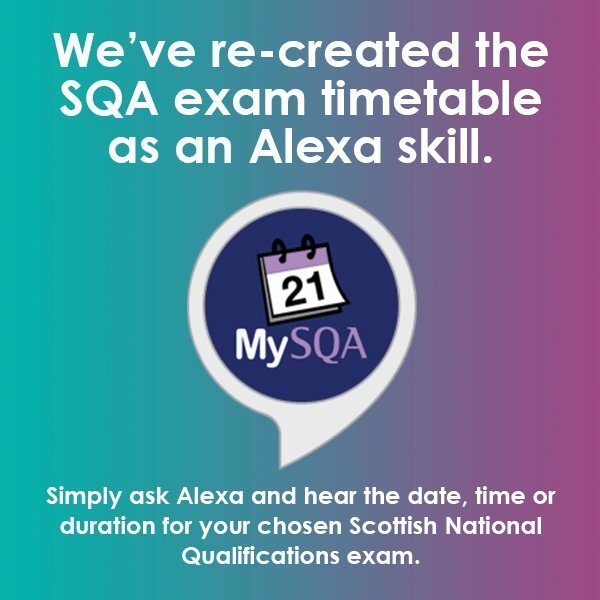 My SQA also have an Alexa App which will keep you up to date with your exam dates and times. This entry was posted in Uncategorized on March 19, 2019 by Mr Marshall. Please click on the link below to access our most recent assembly. The assembly contains all of the latest successes and achievements from S4 as well as up to date information about revision classes and upcoming school events during the season of Lent. This entry was posted in Uncategorized on March 11, 2019 by Mr Marshall. All pupils should now have completed their blue option form with their Pastoral Support Teacher. Pupils should ensure that their completed white forms are returned to their Pastoral Teacher as soon as possible. The final deadline for these to be returned is Friday 8th March. This entry was posted in Uncategorized on March 4, 2019 by Mr Marshall. This entry was posted in Uncategorized on February 20, 2019 by Mr Marshall. Pastoral Teachers will begin to meet with S4 pupils this week to discuss their options for S5. The letter below was issued to all pupils on Monday. It is important that all completed forms are returned to the Pastoral Teacher as soon as possible. If you require more information please do not hesitate to contact the school. This entry was posted in Uncategorized on February 19, 2019 by Mr Marshall. This entry was posted in Uncategorized on February 5, 2019 by Mr Marshall. We are pleased to share the application link for our S4 Day Programme, running on the 4th and 10th of April at the Queen Elizabeth University Hospital in Glasgow. This application will remain open until 5pm on Sunday the 3rd of February. This entry was posted in Uncategorized on January 28, 2019 by Mr Marshall. This entry was posted in Uncategorized on January 24, 2019 by Mr Marshall. This entry was posted in Uncategorized on January 14, 2019 by Mr Marshall. The event will be held in the Teaching and Learning Centre at the Queen Elizabeth University Hospital, Glasgow and will consist of lectures from doctors and medical students, alongside some group workshops which will allow pupils to get a flavour of what being a medical student is like! Pupils must apply for the programme via a Google Document application form which will be going live from 9am 28th January-5pm Sunday 3rd February. Any S4 pupils who are interested in studying Medicine at University should see me for more details about the medical insight event (above). This entry was posted in Uncategorized on January 11, 2019 by Mr Marshall.